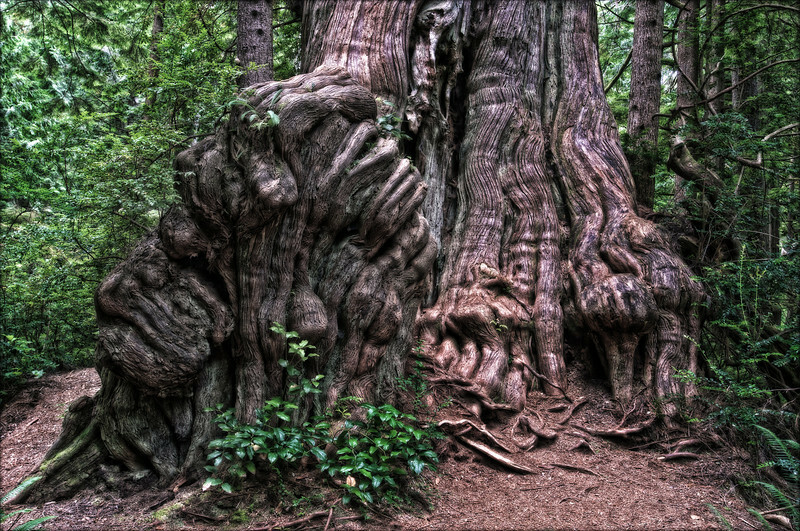 This amazing trunk sculpted by old age belongs to a champion cedar tree in Washington State's Olympic National Park. The Quinault Big Cedar Tree is the world’s largest known western red cedar at 19.5’ diameter DBH and 174’ tall. The tree is located across the street from the Lake Quinault Resort.